ILM use SOFTIMAGE|XSI to score Quidditchpoints in “Harry Potter and the Chamber of Secrets.” With a library of mocap and the XSI animation mixer, these animation legends were able to blend individual moves together into one seamless, broom-flying heart-racing, Quidditchgame. It’s extremely rare that the second installment in a series surpasses its predecessor. In the case of last year’s wildly successful and fantastically fun Harry Potter and the Sorcerer’s Stone, the pressure was definitely on for this year’s follow-up, Harry Potter and the Chamber of Secrets, to blow the roof off a theater near you. Such pressure, as we moviegoers know so well, often leads to the very worst kinds of cinematic disaster. So it was with profound pleasure, then, that I watched the Chamber of Secrets when it opened last November. Not only did it exceed its predecessor in virtually every area, but the visual effects were more spectacular, exciting and, yes, frightening than any other film I’ve seen. In short, the film was an absolute blast, and for that we can thank, yet again, the extraordinary work of legendary effects facility Industrial Light & Magic (ILM), who have been stunning moviegoers for more than 28 years. So, while Harry Potter has Industrial Light & Magic (ILM) behind him, ILM has SOFTIMAGE|XSI and SOFTIMAGE|3D on their side. To create the pulse racing Quidditch match scenes in Chamber of Secrets, for example, Lead Animator Paul Kavanagh and the visual effects team at ILM relied on the SOFTIMAGE|XSI Animation Mixer to mix digital doubles of the actors with a generic library of Quidditch moves. Having a library of moves was one thing, but Kavanagh quickly found himself yearning for a way to tie various moves together and blend them into one seamless action. Using the SOFTIMAGE|XSI Animation Mixer, the ILM team were then able to blend the individual moves together into one seamless, heart racing Quidditch play. ILM is now deploying version 3.0 of the SOFTIMAGE|XSI environment on Linux workstations and servers throughout its production pipeline. 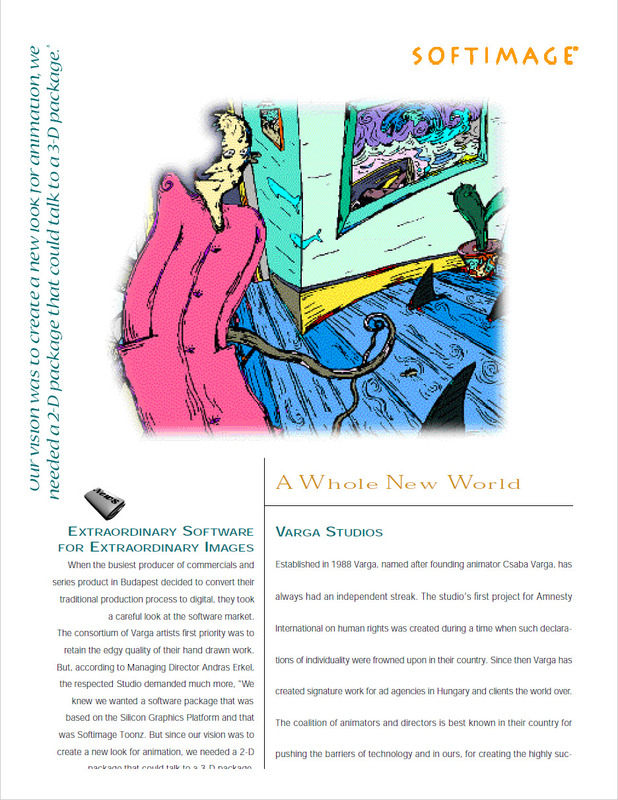 The story of Harry Potter and SOFTIMAGE, however, is far from over. Rawlins should know. As he embarks on his eighth interesting year at Lucas Digital’slegendary effects company, the Lead Animator on such films as Star Wars Episode II: Attack of the Clones (2002) has played an early role in some seriously large projects. After an initial eighteen months in ILM’s now-closed Commercial Production division, Rawlins moved straight into animating the return of the infamous Jabba the Hutt for Star Wars Episode I: The Phantom Menace (1999). Following work as Lead Animator on the title characters for The Adventures of Rocky and Bullwinkle (2000), Rawlins assumed the same role on Episode II, helping to create Dexter, the bizarre, yet-entirely appropriate looking diner owner in the film. Not much? I beg to differ. For my money, Harry Potter and the Chamber of Secrets alone might have taken Rawlins’ full ILM tenure to complete (much, much longer, of course, if I’d been working on it, but that’s why Steve’s at the best effects facility in the whole damn world, and I’m in Montreal writing stories about him – but I digress). 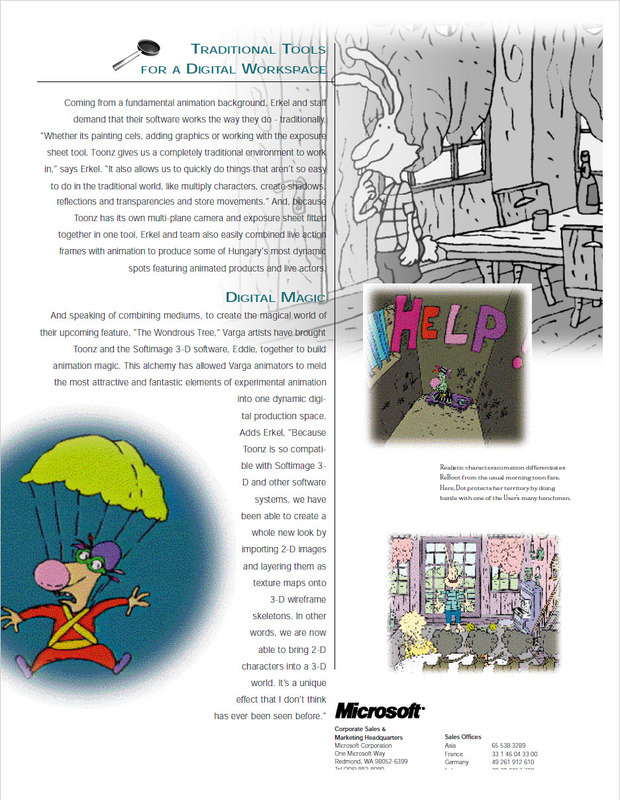 Just as he did with Dexter, Rawlins used SOFTIMAGE|3D v. 3.9 to define the animation, and, therefore, the screen character, of Dobby, a brand new character in the continuing Harry Potter story. Short, meek and troublemaking, Dobby is a “house elf,” an overwhelmingly obsequious goblin with a penchant for self-punishment. When he discovers a plot to harm Harry upon his return to school, Dobby, despite his instinctual loyalty to his nefarious masters, is determined to rescue Harry from his apparent fate. The methods Dobby uses to keep Harry from being hurt are as hilarious as they are destructive, as disastrous as they are well intentioned. It was not long before animators Sue Campbell, Kevin Martell and Steve Aplin joined Rawlins to work on Dobby. By the end of the project, a total of fifteen animators, all working on SOFTIMAGE|3D, came together to bring Dobby completely to life. “SOFTIMAGE|3D definitely enhanced the efficiency of this project,” says Rawlins with emphasis as he begins to explain why. While Rawlins began his animation work in early January 2002, Dobby had been conceived and modeled in November and December 2001, just a few weeks following the opening of the inaugural Harry Potter film. Confident of the first film’s impending success, ILM had no time to lose. Fortunately for Rawlins’ schedule, the first scene shot was Harry’s first meeting with Dobby. Rawlins eased into the project, using SOFTIMAGE|3D to create a simple walk cycle for Dobby, “just to see how he was going to move.” From there, the team chose a single shot on which to test their proposed animations. Just like ILM, SOFTIMAGE and Harry Potter.